Just as one Newcastle United World Cup door closes, another one opens. With the elimination of Serbia our only World Cup participant was left holding his Karageorge’s schniztel, but who knew that the offices at SJP were buzzing and those previously thought to be handcuffed to a chair were just waiting for South Korea to be knocked out before leaping into action. Now we can welcome our new World Cup skipper, Roy Aitken part 2, Ki Sung-yueng our second major signing of the summer. Makes me feel sort of stupid for thinking they were sitting around doing nowt. Although Sung-yueng may not be the sort of signing to get me piling down to the ground to buy some extra season tickets, it does suggest one thing to me. Rafa Benitez has been told how much money he has to spend on players this summer and he has decided that Ayoze Perez can play at the level NUFC will be at next season. A reality check in itself but that aside, I think Benitez has decided that a new number 10 is not his main priority. Rafa obviously thinks that if he can bring in some cover for Perez for free then it gives him more money to spend on the areas he really wants to improve on as a priority, which looks to be the wings for the time being. So Ki Sung-yueng is the Korean Perez, not exceptional but he is pretty quick, he runs all day and he can play a bit. I’ve seen some of the Swansea fans calling into question his commitment and tenacity but it is rare that players, especially Premier League ones, battle till the end in a team that is losing regularly and getting relegated. We’ve seen it at NUFC often enough, the local players and the battlers put a shift in, but the Michael Owens who know they’ll be leaving at the end of the season and finding another PL club to play for don’t usually have the same commitment. People who say they are playing for their futures are being naïve, someone else somewhere will pay them good money to play. This week, it is Newcastle United. The Spurs fans sang about fellow Korean Son Heung-min, “He’ll shoot, he’ll score, he’ll eat your Labrador”, I’m sure Ki Sung-yeung will do none of those things at SJP, he’ll be our first line of defence, run all day, play for the team and he is welcome in here if my hope that it gives Rafa money to spend on other priorities is true. 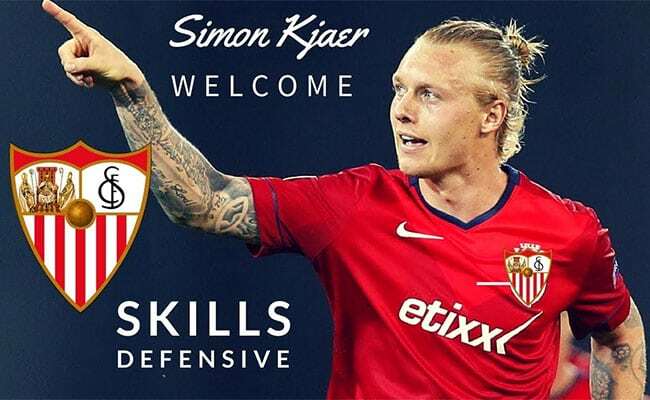 If we can sign another player from the World Cup, greedy I know, two signings in one summer and two international players, Simon Kjaer has been immense at the heart of the Danish defence and I reckon him and Lascelles would be the meanest centre half pairing in the league. I watched him at Sevilla last season and he was in and out of the team but it was his first season there and they had about 9 different managers, at one point I was expecting Joe Kinnear to turn up as patron. The Dane then could be persuaded to take the plunge into calmer waters at SJP, unbelievable that I could even think of writing that. It is unlikely to happen, centre half isn’t a priority for Benitez with Lascelles and Lejeune playing well towards the end of last season and Clark and even Dummett capable back-ups. It would still be nice though. Even more of a surprise to me than signing a World Cup player was that ex-NUFC hero Florian Thauvin is in the France squad and appeared on the pitch in Les Blues second round game against Argentina. It was great to see him doing his hair on the sidelines again, his performance in the game neatly summed up his time at SJP, fleeting and almost inconsequential. His seven minute stint so far only being memorable for a Sergio Aguero goal. He’ll probably go back to Marseille with a World Cup winners medal despite losing 1-0 over the whole tournament. Him and Stephane Guivarc’h will go down in the France Hall of Fame and we’ll be scratching our heads wondering how we ended up watching two World Cup winners who spent longer preening themselves on the bench than they did threatening PL defences. My final World Cup memory this week will be with England. The closest thing to seeing Shola Ameobi at a World Cup is Raheem Sterling’s first touch, it’s like a Spot the Ball competition trying to guess where the ball will end up next. “I could have gone down the wrong path” Sterling told the BBC last week. Against Colombia and Sweden that’s all he did, go down the wrong path. Away from the World Cup, NUFC signed string bean Yannick Toure on a free transfer as he failed to progress from Young Boys to Young Men and let’s hope he makes the transition from promising youngster to first team player. Given our current success rate at converting raw talent into NUFC mainstay, I won’t be holding my breath. Away from NUFC, the Premier League sold some rights for live games to Amazon as part of the new TV deal, which presumably means that I’ll have no idea when the games will arrive and have to pick them up from the Post Office a couple of days later. Then in a few years time the games will be played by drones in a warehouse in Switzerland. The powers that be also decided that the best thing for the country internationally would be if the players had a winter break for a few weeks in February. Ironic that the national team are in the World Cup semi-finals without that winter break but a winter break won’t affect NUFC anyway. As ever, we are trailblazers, light years’ ahead of the others. We have a winter break every year when we get knocked out of the FA Cup in the third round.